Mobilised Artefacts is a one week game jam submission based off work chosen from the Times and Tides exhibit currently showing at GOMA. The art I took my inspiration from was Ken Thaiday Sr specifically his amazing "Dance Machines". These pieces are modern takes on his cultures classic dance headdresses which he has updated with modern materials. The inspiration I took for my game was they way Thaiday felt about the "Dance Machines" when we was wearing them. Thaiday believed that when he was dancing with the Shark headdress on he was a shark. This evolution of man to creature and man-made to natural is what I have tried to reproduce with Mobilised Artefacts. The camera revolves around a focal point on the shark, use the mouse to rotate around. 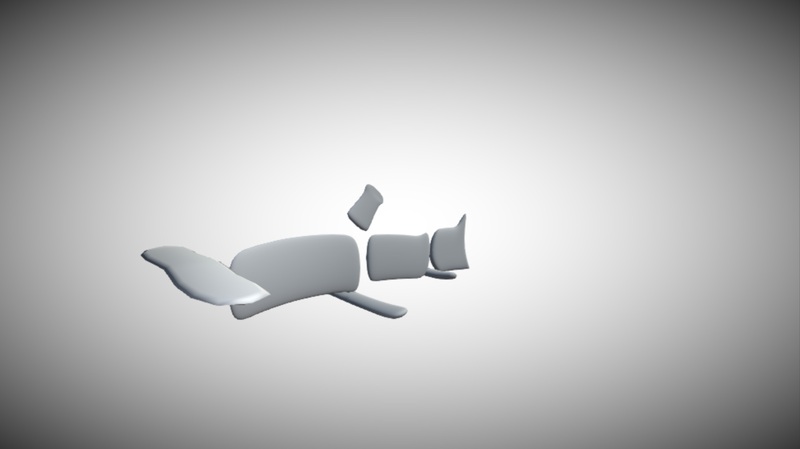 Select the various parts of the sharks skeleton with the left mouse button. Zoom in and out with the scroll wheel.